Never be disappointed by watered-down chai again. 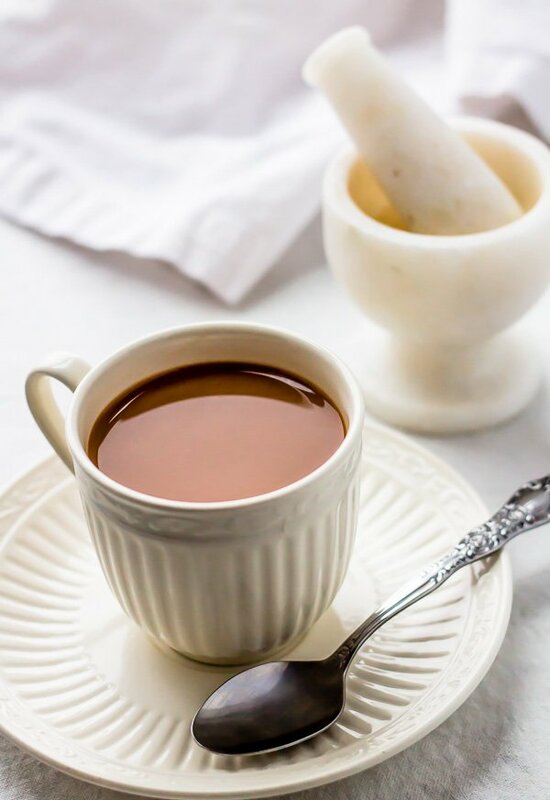 This is an authentic recipe for masala chai straight from a cooking class in India! 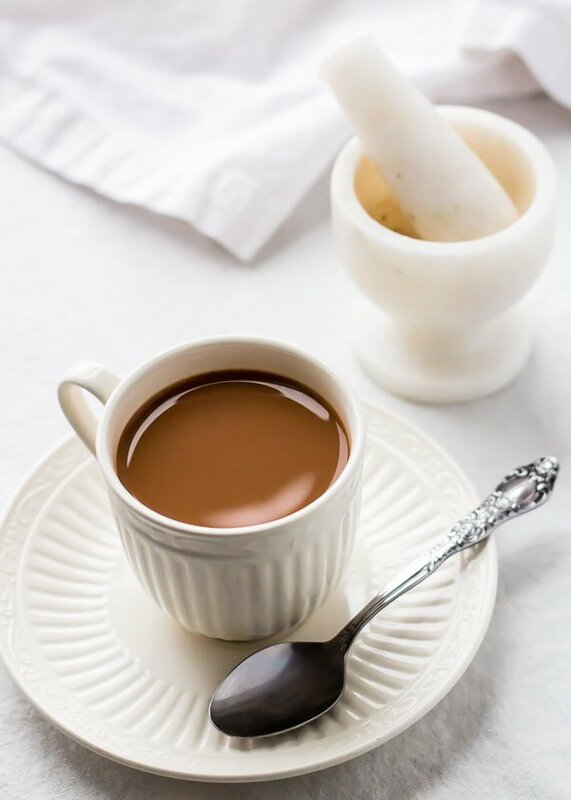 Sip on a steamy cup of this rich, deeply spiced Indian milk tea on wintry mornings. I hope everyone had a happy merry last night! I had a wonderful time with my three parents (step-dad is in Chiner with my grandparents, so there’s only 3 left!) watching Chinese dating shows. Mostly they’re hilarious because the men are either dingbats or elitist tools, but then sometimes an American girl gets up there and spouts off better Chinese than half the Chinese girls, and I face-palm. Props to the American girl. To the mumbling-bumbling Chinese girls, for shame! Totally unrelated but here is a cup of chai to kick off the long weekend. REAL chai. Not overly sweetened like the Starbucks version and not the sad, sad watered down excuse for tea every other coffeeshop seems to sell. This cup is strong, complex, milky, and delicately sweetened. In India we got this in tiny clay cups by the roadside, at every restaurant to begin a meal, and of course, at every tourist-trap where we were probably getting ripped off but the chai convinced us we were getting a good deal. So here’s to chai, my most favorite coffee-alternative. May the ultra fragrant scent of cardamom wake us up from our post-holiday food coma. Cheers! I tested this recipe with dairy milk, soymilk, and coconut milk. Soymilk has a very strong flavor when cooked, so you might want to use 1.5 cups of water to 1.5 cups of soymilk. My roommate makes it like this and it is delicious. If you want to use coconut milk, I really like Silk Original Pure Coconutmilk Unsweetened. It is the most similar to dairy milk with a hint of coconut flavor. Make sure you aren't using canned coconut milk. It's far too thick for this recipe. I haven't tried almond milk, but if you do, let me know how it is! 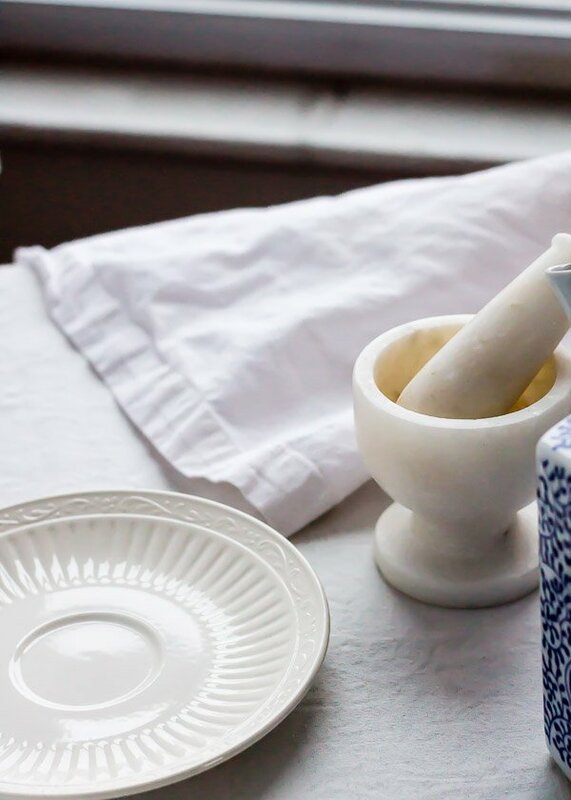 Shell the cardamom pods and grind the seeds with the black peppercorns in a mortar and pestle. Add ginger and pound a few times. Add all ingredients except for the tea into a small pot and bring to a low boil on the stove. Be careful not to let the milk foam over. Reduce heat, add tea, and simmer for 4 minutes, stirring occasionally. 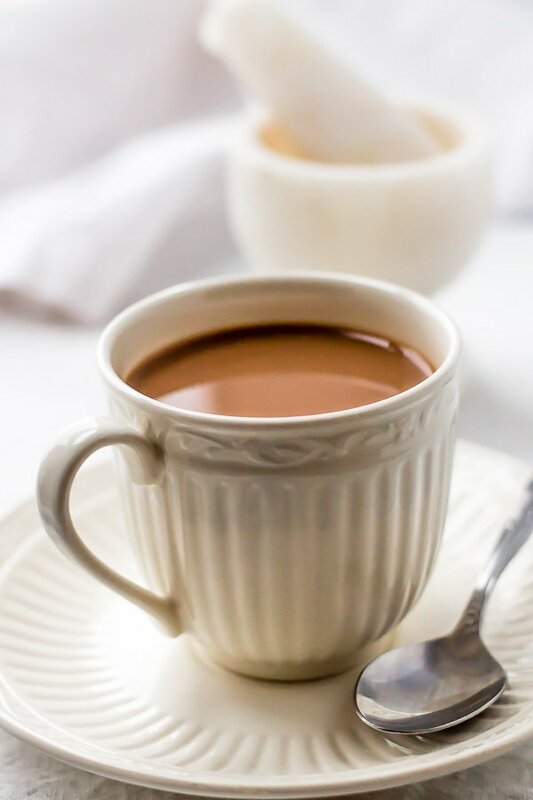 The chai should start to turn a coffee brown color and you should start to smell the cardamom and the other flavors of the spices. Once it is done, pour the chai into two mugs through a fine mesh strainer so as to remove the tea and other solid pieces behind. Serve immediately. I usually just make my chai straight from a tea bag.. this post definitely puts that to shame! I so need to follow your recipe, I love chai and this looks incredible. I’m even more guilty – I used to make chai from the box concentrate! Haha. But making it at home is seriously so easy, and you can play with the spices and strength of the tea to your liking. Hope you enjoy!